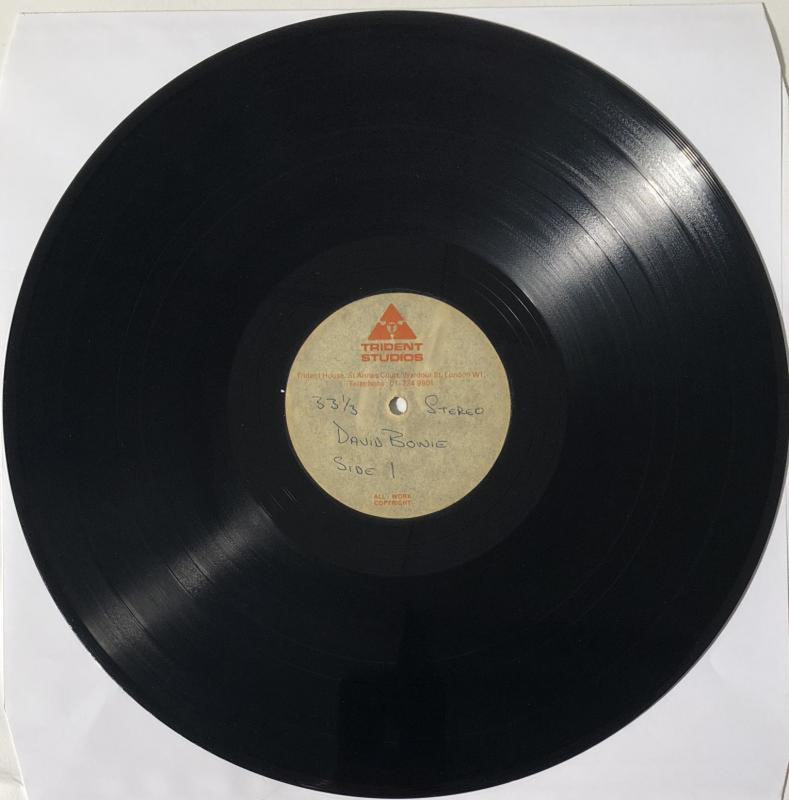 A copy of a previously unheard studio recording made by a young David Bowie comes up for sale at auction next week. As a highlight of a January 29 sale titled The Glam Rock Collection, Omega Auctions of Newton-Le-Willows in Merseyside expect the eight minutes of a teenage Davy Jones to bring £3000-5000. The TDK cassette was acquired by the vendor while clearing the flat of a friend and musician in London. 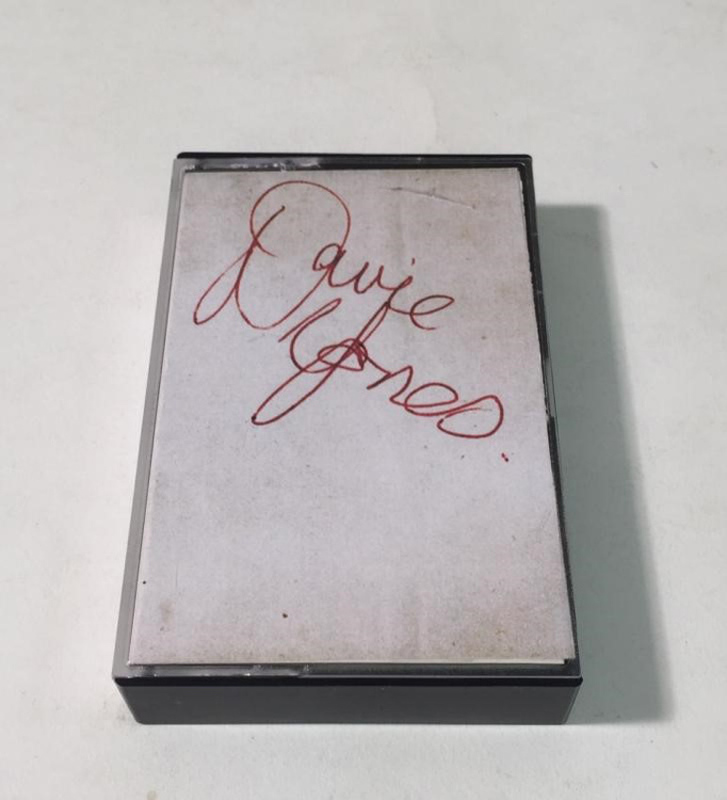 Although the cassette is of a type made c.1975-77, as detailed in two inlay cards the recording includes three unknown tracks from Bowie’s early repertoire of the mid 1960s: How Can I Forget You (2.30 minutes), It's My True Love (2.16) and I Live In Dreams which includes a false start and some discussion around correct key for the song (03.01). While the sale does not include copyright, an extract of the song It's My True Love has been released to promote the sale. The vendor chose Omega to sell it after it sold a 1963 demo of a 16-year-old David Jones singing with The Konrads for nearly £40,000 in September last year. The forthcoming sale also includes a single-sided acetate of the Bowie’s 1969 eponymous album that would later become Space Oddity. 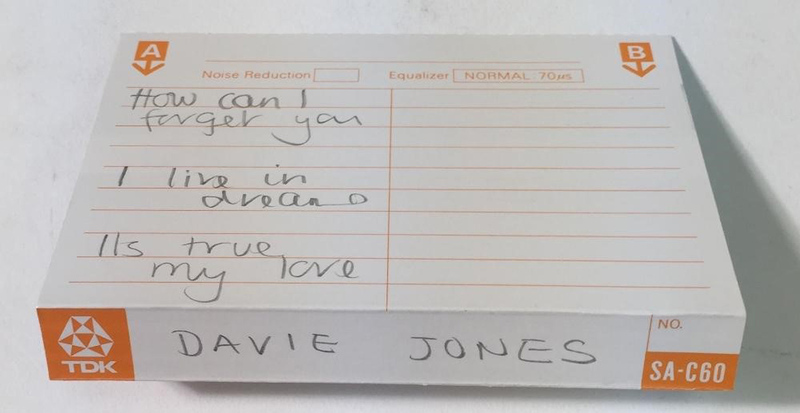 Issued by Trident Studios, labels include the note '33 1/3 Stereo David Bowie Side 1' handwritten in pen. Upon listening to the record, the auctioneers say there are some subtle differences in the ‘raw’ sound of this recording and the mix of the final studio release - most notably in the track Cygnet Committee that has a quite different tempo. Described as “a true piece of Bowie history”, it is estimated at £5000-7000.